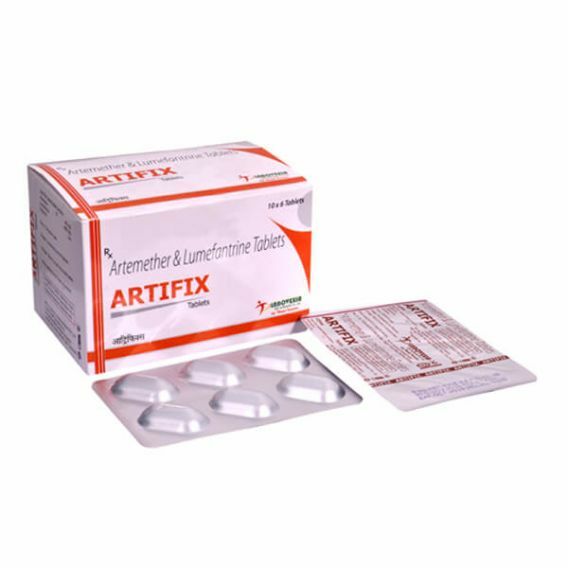 ARTIFIX TAB | Artemether 80 mg and lumefantrine 480 mg- It is an Antimalarials drugs, used for the treatment of acute, malaria infection due to Plasmodium falciparum. It contains an active ingredient of artemether, an artemisinin derivative, and lumefantrine. It should not be used to prevent Malaria but kills the organisms that cause Malaria. Caution- Before the consumption of Artemether and lumefantrine tablets, contact your doctor as there are the certain thing that could only be specified by them. Tell him about the medicines that you were taking at that time.